PCI -E (6 2). 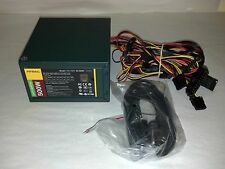 - SATA Connectors Works great. Low price. Item as described. Works great! - Internal 140mm ball-bearing fan. - Mother Board Connector. Trending at $80.00eBay determines this price through a machine learned model of the product's sale prices within the last 90 days. 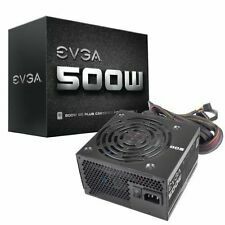 EVGA ATX12-Volt 500-Watt 80Plus Power Supply-White (100-W1-0500-KR). Shipped with USPS Parcel Select Ground. 80 PLUS BRONZE Certified. Maximum Power. SATA Power Connector. Input Current. 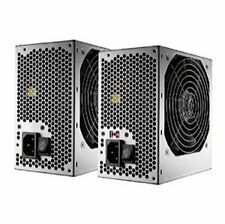 80 Plus Bronze: Runs cooler and uses less power than less efficient power supplies. Black housing, cable sleeving and connectors: Give your build the high-end look without breaking the bank. It's fun and easy and everyone wins. Otherwise, the order is already on its way. - We admit it. WE ARE NOT PERFECT. Bad things happen to good orders. So no worries. Our approach to tech recycling allows us to utilize perfectly good products that would otherwise head to the landfill. 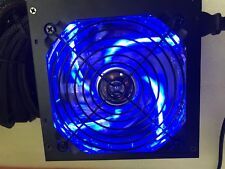 NEW SEALED Antec BP550 Plus ATX12V 550W Power Supply! FACTORY SEALED IN THE BOX! 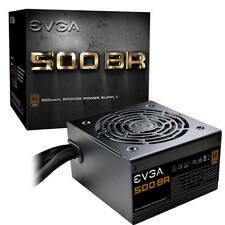 EVGA SuperNOVA 1600 T2 80+ TITANIUM, 1600W Power Supply 220-T2-1600-X1 New! 80 PLUS TITANIUM Certified. 80 PLUS Titanium certified, with 94% (115VAC) / 96% (220VAC~240VAC) efficiency or higher under typical loads. Maximum Power. SATA Power Connector. Input Current. Overload Protection. Quark's black coated casing and rock touch finishing evoke its high quality. Condition is Used, Good Working Condition. AC Power Cable. Although only a subset of cables is included, all required cables for a mainstream PC with multiple GPUs and several SSDs/HDDs is included. Only high end CPUs that require dual 8-pin CPU cables will require the extra CPU cable. 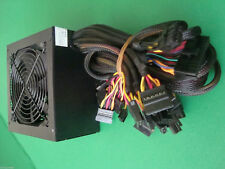 ATX PC power supplies accept power from the wall and deliver it to the computer components that need it. These components include motherboards, graphics adapters, hard drives, and more. At eBay, you'll find a broad range of new and pre-owned products that are affordable and meet your needs. How do you determine the necessary wattage? 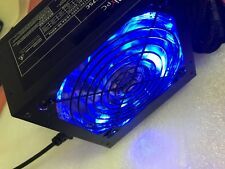 Every PSU is rated to deliver a certain wattage. 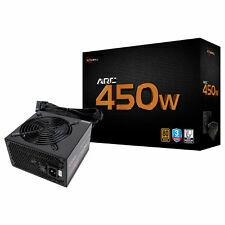 A 600W ATX PSU supports up to 600 watts at peak load. To determine the minimum wattage you need, sum the peak load requirements of the components that your PC comprises. 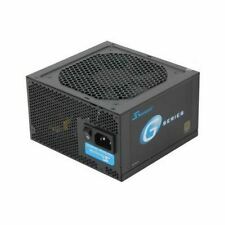 So, if you have a CPU that requires 150 watts and a GPU that requires 150 watts, you need a 300W PSU at a minimum. 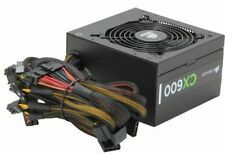 Experts tend to recommended purchasing overhead so that the PSU isn't running at load and you have room to expand. What's the difference between top and bottom mounting? 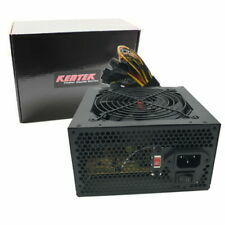 Most ATX power supplies can be either top or bottom mounted. PC cases will support either top or bottom positioning and both in some cases. If you have an option, it's a matter of preference. Bottom mounting will make a case more bottom heavy and more stable, but when you top mount, the overall weight of the unit may be a concern. What does 80 PLUS mean? 80 PLUS is a certification program for power supplies. A PSU that has been 80 PLUS-certified delivers more than 80% efficiency at 20%, 50%, and 100% load. In other words, an 80 PLUS-certified will use less electricity than a PSU that is not as efficient.